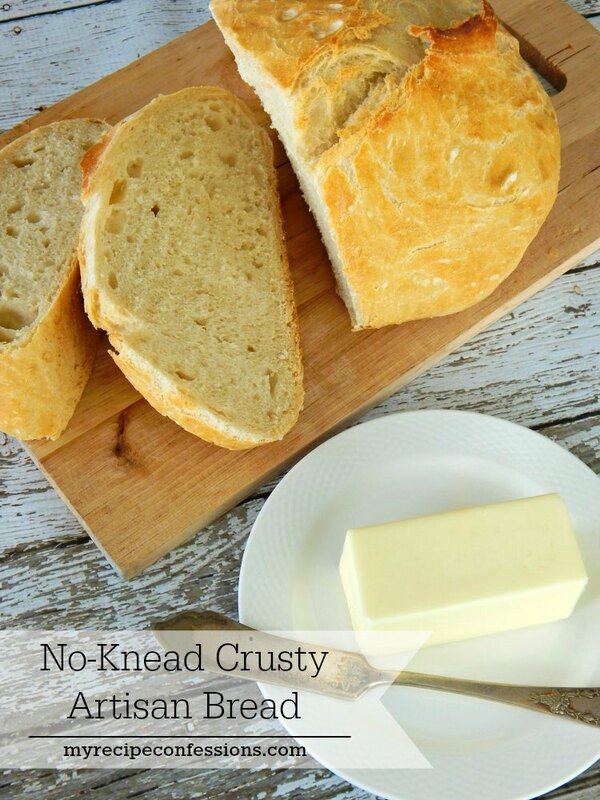 Nobody wants dry, crumbly cornbread. I tried many recipes that produced a very crumbly, dried out cornbread. I like my cornbread sweet. Not so sweet that its mistaken for a cake, but sweet enough that it enhances overall flavor of the cornbread. 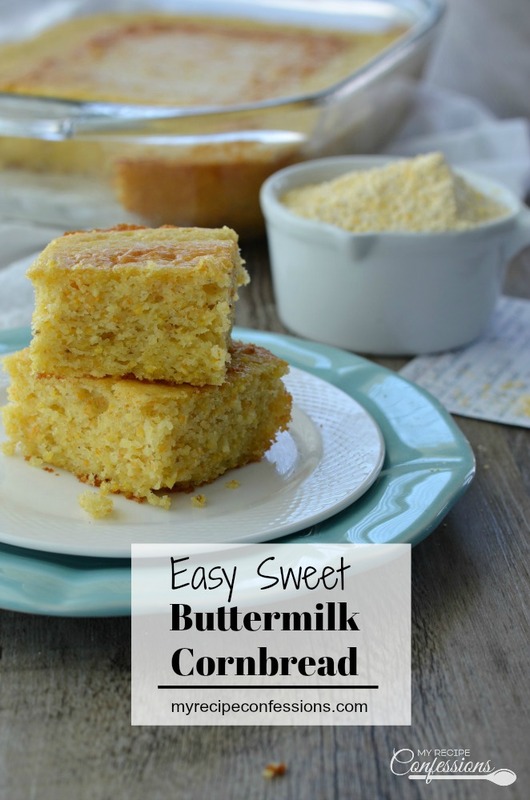 This Easy Sweet Buttermilk Cornbread is everything I have ever wanted in cornbread. 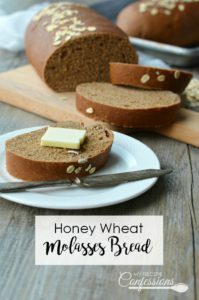 This recipe is very simple and can be whipped up in no time at all. By the time everybody is sitting down for dinner, you will have a hot pan of cornbread to go along with your meal. I ended up making this two pans of cornbread to take pictures. We have half a pan leftover and it is still just as moist as it was on the first day. Slather some Fluffy Cinnamon Honey Butter or 30 Minute Raspberry Freezer Jam over a slice of warm Easy Sweet Buttermilk Cornbread. I promise, you won’t regret it! 1. Grease a 9×13 inch pan and place it in the oven while the oven heats up. 2. In a large bowl, mix the melted butter and the sugar together. Cream the egg into the butter mixture. Add the buttermilk and sour cream to the butter mixture and mix well. 3. 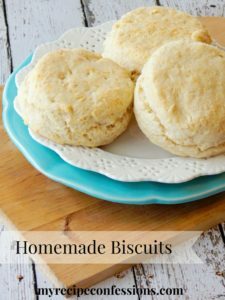 In a small bowl, combine the flour, cornmeal, salt, and baking soda together. 4. Mix the flour mixture into the butter mixture. 5. Pour the cornbread batter into the hot 9×13 pan. Place it in the oven and bake for 30 to 40 minutes or until a toothpick inserted in the center comes out clean. 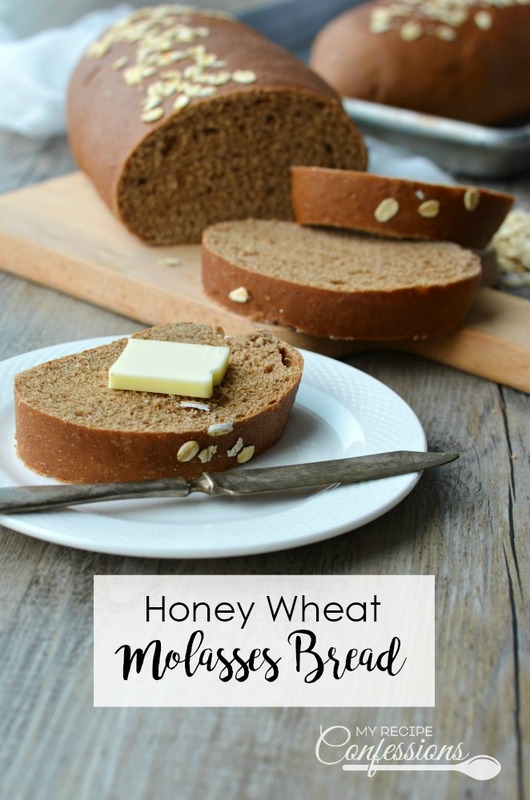 This recipe was originally posted on September 11, 2014. Here are a few other recipes that you should try. 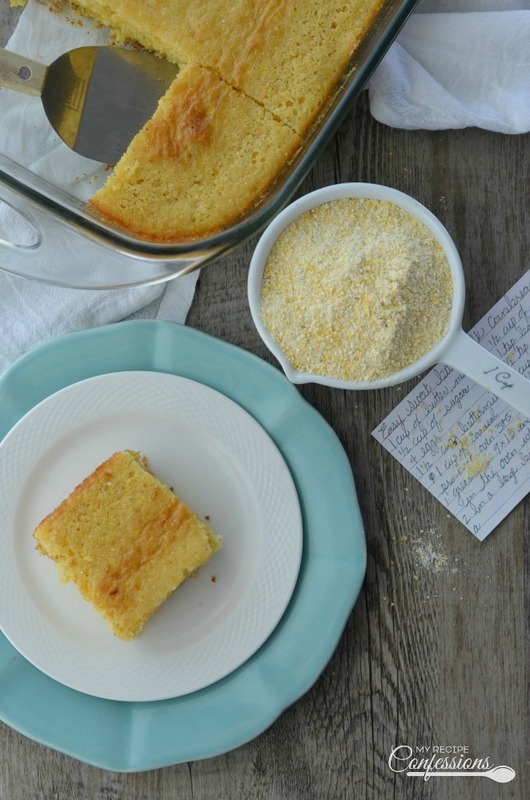 Easy Sweet Buttermilk Cornbread tastes just like Southern cornbread. 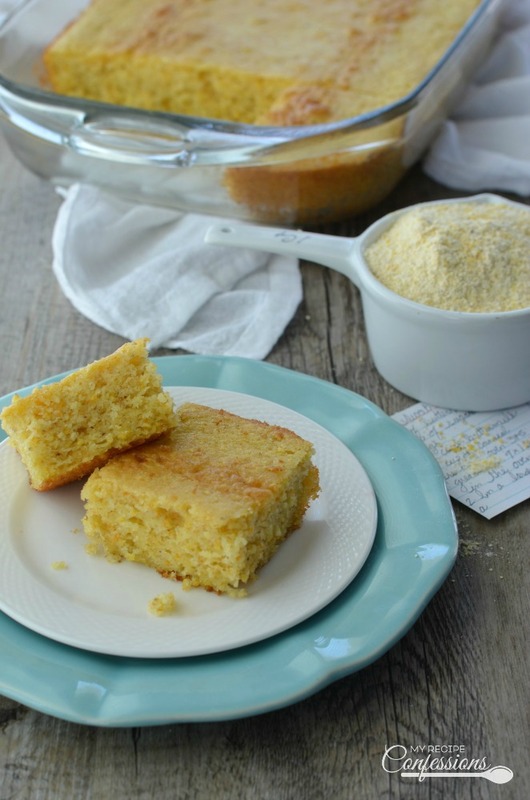 The moist, tender texture and buttery sweet flavor makes this the BEST cornbread recipe ever! This homemade cornbread is just as easy to make as a box mix. When making this cornbread recipe can you leave the sugar out. I do not like sweet cornbread. I have never tried leaving the sugar out in this recipe. If you don’t like sweet cornbread, I would recommend cutting down the sugar to 1 to 2 tablespoons. I hope this helps!